Healthy snacking is a way to go! So many times we tend to forget how a healthy snacking can help our daily lives. You get so busy at work trying to meet up with deadlines that seem impossible, you know what? Healthy snacking can revitalize you. A snack is smaller than a regular meal, generally eaten between meals. Most times we snack on the wrong foods and at the wrong time. Sustaining a high level of satiety helps keep you within your normal caloric allowance, and helps you maintain a healthy body weight. I tend to snack about three hours after breakfast and about two hours after lunch. Snacks have earned the status of “fourth meal”, and between-meal noshing tends to provide nearly 1/3 of daily calories. You want to eat something with little or more nutritional value, right? Dried fruit and nuts make a good option, and adequate consumption gives you vital nutrients, fiber, and energy daily. 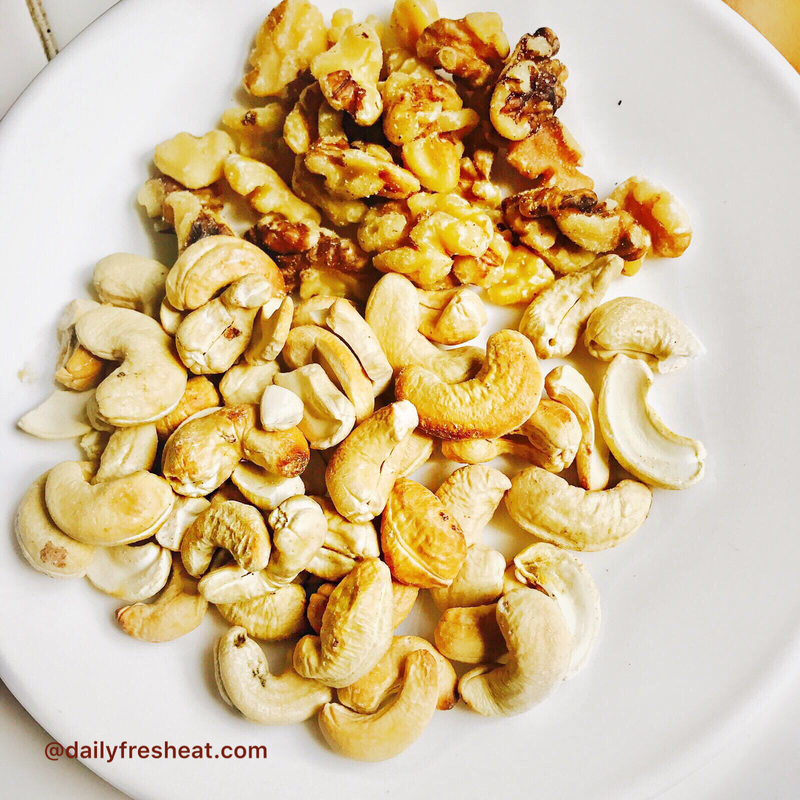 This healthy combo of nut and dried fruits are full of protein, fiber, and healthy fats. Be informed that dried fruit and nuts are concentrated source of calories, so keep your portions under control to help with weight management. To help keep calories under control when snacking on dried fruit and nuts, get some proportion of your mixed fruits into 1/3-cup servings. Dried fruit and nuts are also a high-fat snack, with about 5 grams of total fat per 1/3-cup serving. Most of the fat in the mix comes from heart-healthy monounsaturated and polyunsaturated fats. These types of fats can be used to replace saturated and trans-fat, which might help lower your blood cholesterol level. Note: Including nuts as part of a healthy diet can help lower your risk of heart disease. 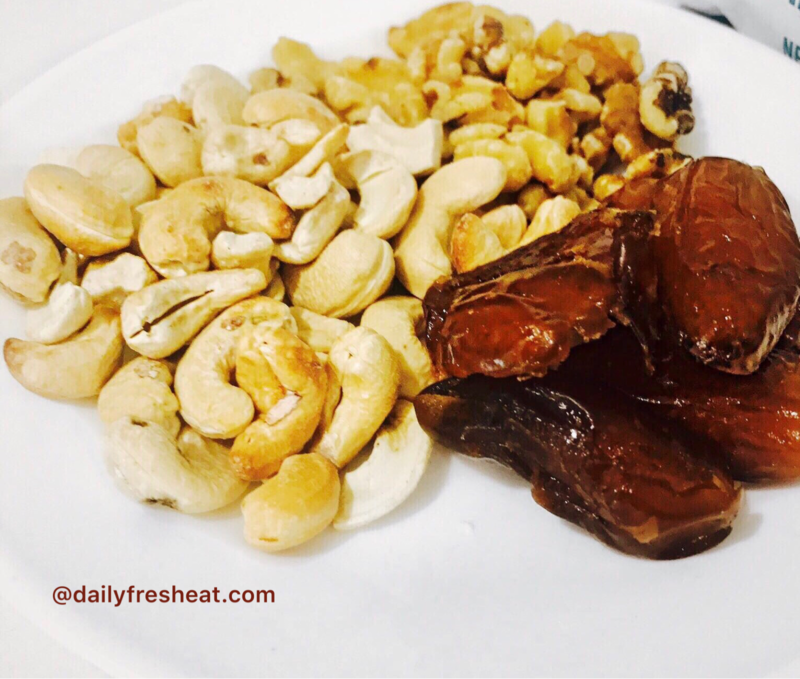 The portion may be quite small, but the fiber in the dried fruit and nuts can satisfy your hunger, keep you in energy for the rest of the day, makes you feel full and delays hunger. Be sure to snack but snack wisely!! !